The next time you sit at home, clicking around your computer on Facebook or Twitter, think about your online activity. Have you looked at your current or ex-lover’s social media pages today? Have you ever used a dating site? To what extent do you research a new lover once you get to know them? (Admit it, you Google them!) We’re in an age where we can, at will, summon information about anyone at anytime with just the click of a mouse or swipe of the tablet. You can even look this stuff up on your smart phone. No stone is left unturned, because we can flip them all over at once with digital precision. This begs the ultimate question: How has social media affected the way we handle our love lives? On Valentine’s Day, Cupid’s Pulse Executive Editor and Founder, Lori Bizzoco was asked to participate in a discussion concerning this very topic. She joined a panel of distinguished colleagues in the relationship industry including Nancy Slotnick, Founder of Cablight.com, Rob Judge of DateHotterGirls.com, and Tom Miller, General Manager of YourTango.com. The event was staged at Big Fuel, one of the hubs for Social Media Week in New York City. The main topic of discussion was how the social web has had a profound impact on the way we connect with each other. It’s affected our friendships, our relationships with our families, our professional networks, and ultimately our love lives. People are now discovering romantic partners in a whole new way, and social networking continues to play a major role after a relationship has ensued. Lori drew on her personal success as an online dating success story to highlight the positives that this form of romance can yield. Along with Tom, Rob, and Nancy, there was a general consensus that online dating is fine but maintaining a balance between digital and in-the-flesh experience is key. Sites like HowAboutWe.com were cited as places where the initial spark can be created, and then taken into the real world. 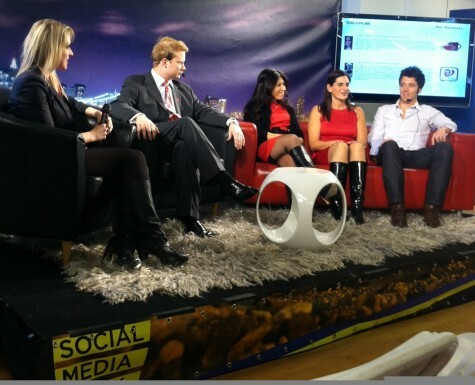 The panel served as a sounding board for the new atmosphere that social media has provided to daters. The way we reconcile it, apparently, is with appropriate balance. Too much of a good thing is, indeed, too much.